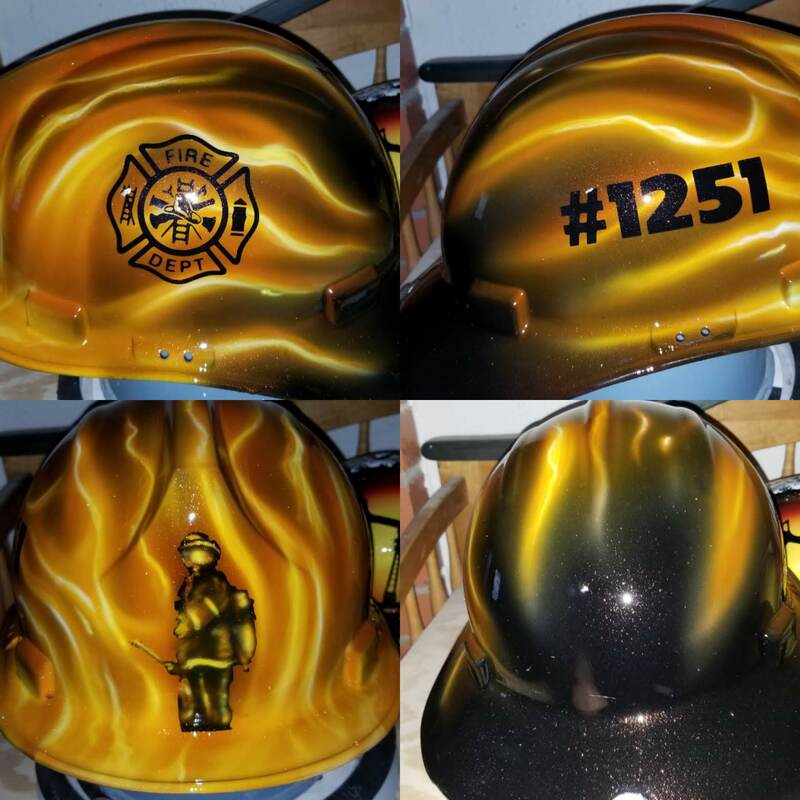 Whether you want a custom paint job with your departments patches or something wild with graphics, we have you covered. 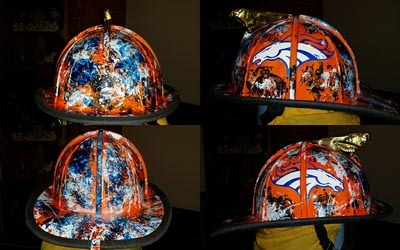 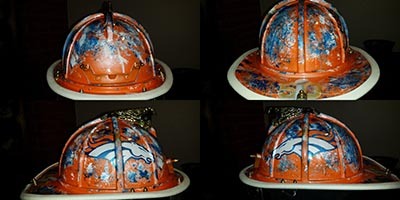 Custom airbrush painted Denver Broncos fire fighter helmet. 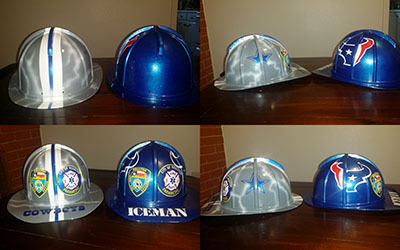 Custom fire helmets painted for Houston Fire Department Members. 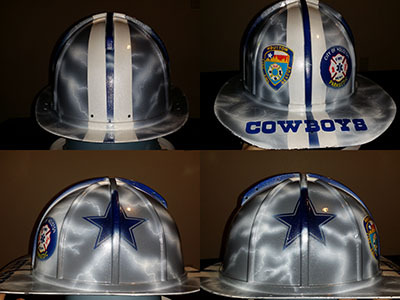 Dallas Cowboys and Houston Texans with Fire Department patches.